April showers bring May flowers. We are certainly having a lot of April showers lately, so I’m hoping we see lots of flowers in May. We are ever so slowly seeing signs of spring with bits of green here and there. 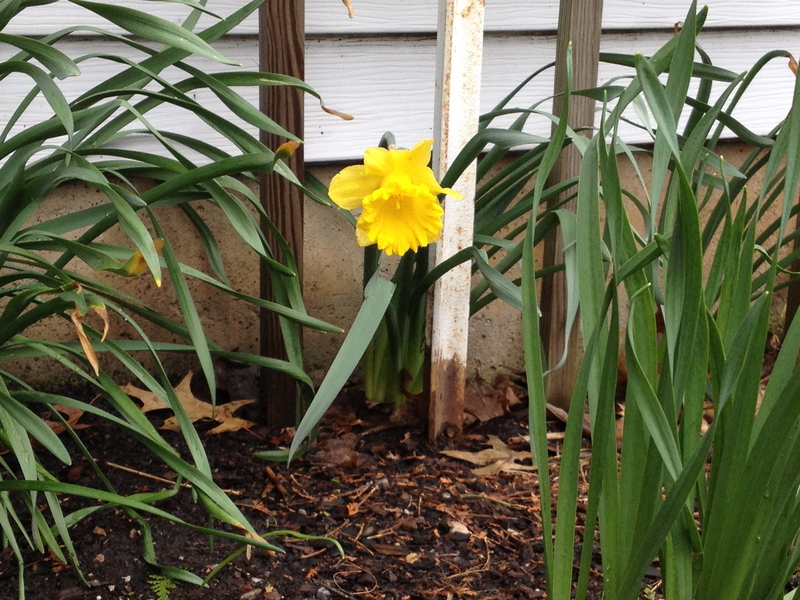 Most of our bulbs – tulips and crocus – have been eaten by the rabbits this spring, except for this lonely daffodil. We have some other daffodil clusters that are a bit behind so I’m looking forward to seeing their pops of yellow soon. 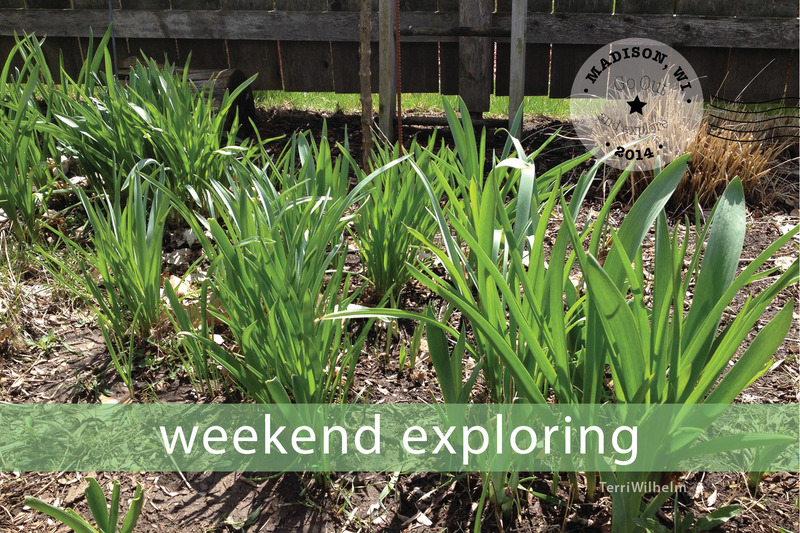 It’s been a couple years since we planted new bulbs, so planting more will be high on my list for fall chores. Last weekend I noticed some of the buds on our trees are starting to open and show some of that spring green color I love so much. Looking forward to find more signs of spring over the next week.